It is stupid that media player cannot RW or FF when watching a video clip, esp a long one e.g. 50 minutes.1stly we may not wish to watch from the beginning. 2ndly,imagine u are at 40 min and your phone rings, then u have to start from beginning again as there is no fast forward or goto time function. i hope that this problem can be corrected in future firmware update. yes the mp3 in 6230i is definitely much better than the 6260. but 6260 can play wav and realmedia file while 6230i cannot. and the stupid FF and RW problem in the 6230i is not present in symbian os phones like the 6260. Amazing little phone has a tonne of features, everything you need unless your into 3G. Hate 3G phones to big and bulky and weigh your pocket down. Battery life is good, charge it every 4 to 5 days, and I like messing with camera which is top notch and transferring stuff to the computer, mp3 in it is great too. hey Pani, before u get all too excited (which is natural for such a great phone like 6230i), just don't forget, 6230i is a, well, basically, a cellphone... not a Smartphone. it's a different playing field. so, 6230i has limited capabilities - which you gotta know and accept, in order to be able to fully appreciate it. battery life still not upto standards.. but what the hell.. i have a charger in my home,car and office so its never far away from power..
one good feature is tat a lot of series 60 games( not all) work on this fone which dont on the 6230. so tats nice. music is still better then ne SE phone. keep this one for some time everyone! How is the battery life - mind very poor, I charged mind for the required 16 hours before using and have recharged since, I am getting about two and half days out of it and talk time is probably in the range of 30min. Had the phone this week and impressed other than the extremely low ringing tone.I have it set on volume level 5 (maximum) and incoming call alert "Ringing", yet it is very very quite and also ascending? I spoke to a Nokia rep yesterday and he advised me that this is a safety feature to prevent damaging your ears, if you had the phone by your ear when it rang!! When would that be, I asked, he said perhaps if you sleep with it on your pillow!! Does anybody really do this?? Any advice please. Can I over ride this? Thanx. WOW,camera,radio,mp3,video,e-mail,im's,is there anything i missed?But cud anyone plzz tell me as to how to install additional software on to this piece?I've bought a DK-U2 datacable,but nothing works.Every file that a friend sends via bluetooth is not readable cause the FILE FORMAT is not SUPPORTED!Is it because there's no application installer on the phone?Help me out guyz.Cud anyone plzz tell me as to how i can install other software on to this piece plzzzz!!!! I was using a 6230 and sold it recently. For me its back to basics. Tried the 6230i for a weeek and its terribly slow even with Ver 3.30 software. Then I tried the 6681 also for a week. 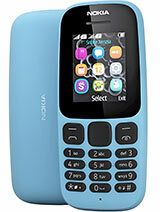 This phone will not record some calls in the Received or Missed list and its way too heavy and bulky. Cant carry such a big phone. No doubt the clarity of screen, sound and Signal reception is outstanding in the 6681 than 6680. Believe it I also got to try a K750i. The main problem is screen cant be seen when we are in sunlight and Sony haven't got the signal reception better even in this phone. Poor signal areas it says only Emergency Calls. and the screen is extremely light with all type of profiles and no wall paper. So I decided to buy the 6230 again. for folks wanting to play video clips on their 6230i here's some info. The phone will not play an mpeg file. that is a file with .MPG or .MP4 or .MPEG extension. Won't play .AVI or realmedia .RM either. It will happily play .3GP video clips encoded using the latest mpeg4 video codec. As for FF/RW... only when playing music, not for video. The K750i does FF/RW for music AND video. the K750i CAN be synchronised with Outlook, 2000 SR-1 or later, using the sync-station software it comes with. I still love my 6230i but it's pretty hard to find fault with the K750i. 6230i or SE K750? Definitely 6230i for me, coz K750 can't be synchronized with Microsoft Outlook. Furthermore, the K750 is more expensive than 6230i.